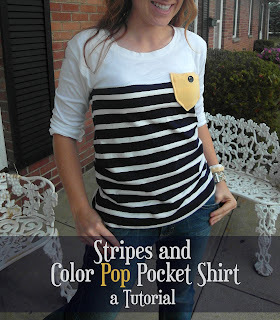 ' Stripes and Color Pop Pocket Shirt - Tutorial - Sisters, What! 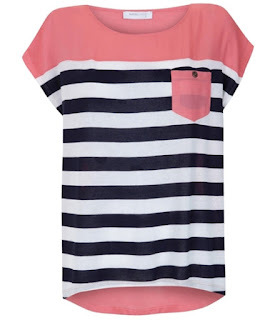 Another great shirt floating around pinterest is this sweet color block and striped shirt. However, the link is broken, so I have no idea who made it. 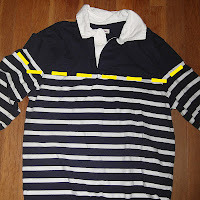 I came across two brand new shirts at Goodwill, one striped and one solid, and decided that I could just make the shirt myself. It was the easy shirt ever. 1. 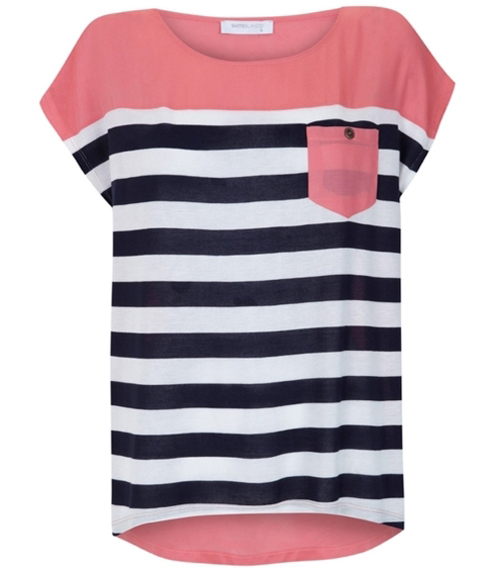 Cut top off the solid and striped shirt just below the arms. 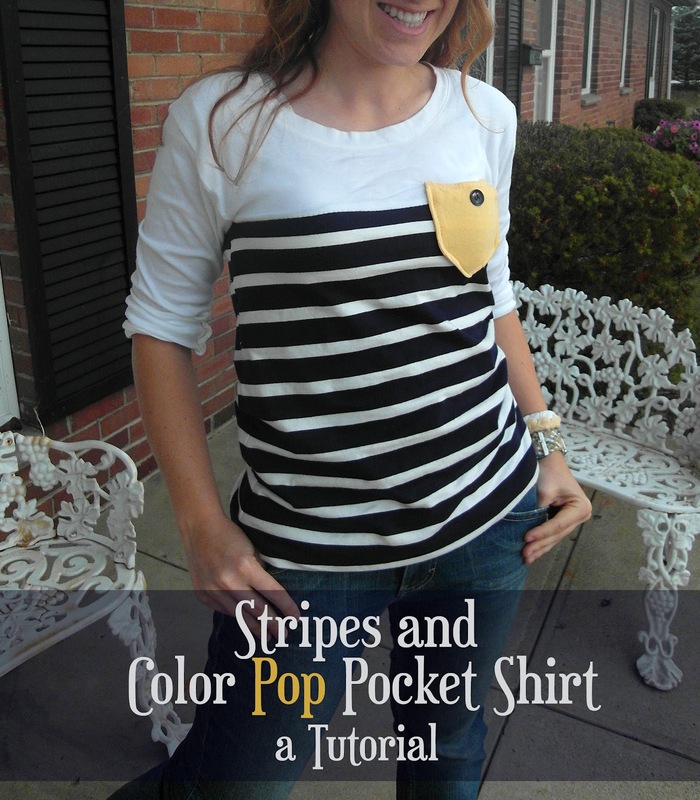 3. the Pocket: cut out two complimentary color pocket shaped pieces. 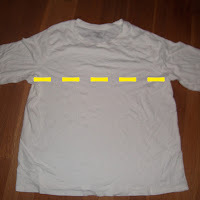 Sew together and turn right side out. 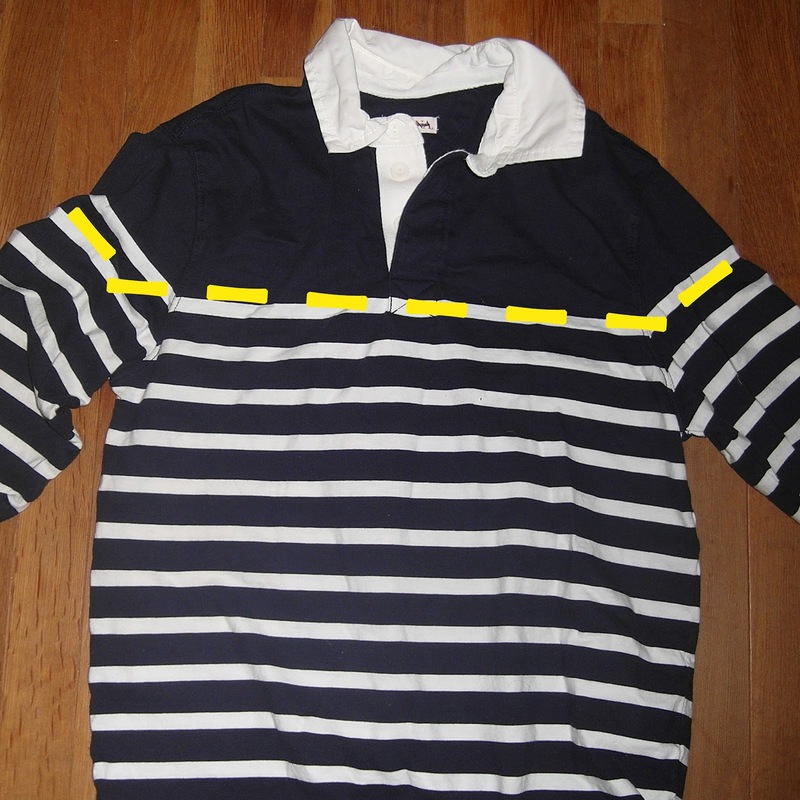 Sew onto shirt. And your done! Super easy. Haha, love the Michael Jackson pose! 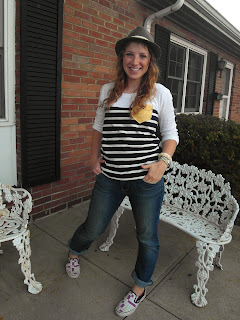 Love your DIY, and really love your blog, so many great,inspirational ideas!!! so cool! 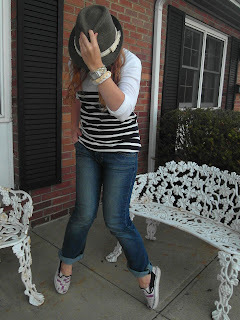 you make it look so easy! I love it! 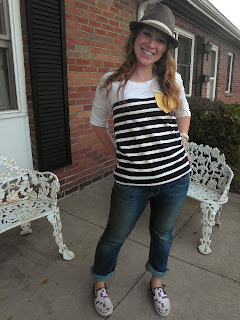 wow, this is amazing, it looks so great!